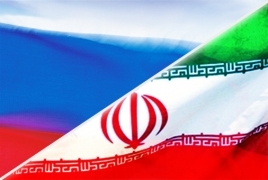 PanARMENIAN.Net - Russia's state nuclear enterprise Rosatom has started refurbishing simulators used to train the operational and managerial staff at the Iranian nuclear power plants, including the one in Bushehr, IRNA reports. Bushehr and other nuclear power plants are being modernized with Russian-made operational and managerial staff training simulators, Russian Research Institute for Nuclear Power Plant Operation (VNIIAES) said according to a press release appeared on its website on Monday. The training simulators are designed by the project’s contractor, VNIIAES, a subsidiary of Rosatom. The renovation process of training simulators is expected to end by November 2018 and will be ready for International Atomic Energy Agency (IAEA) delegation visit. VNIIAES is expected to modernize the equipments and computer software of Bushehr nuclear power plant and provide technical support during the next five years.